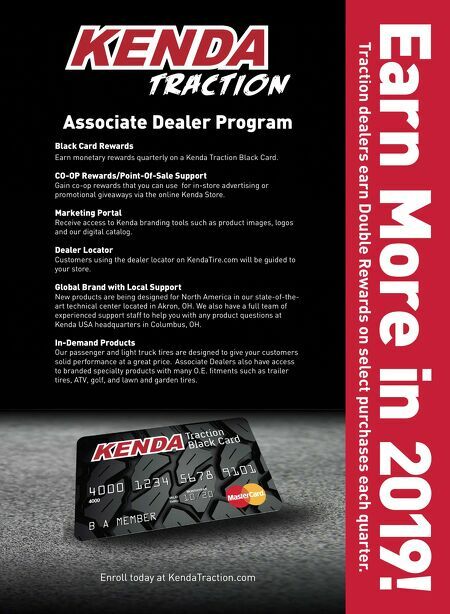 Associate Dealer Program Black Card Rewards Earn monetary rewards quarterly on a Kenda Traction Black Card. CO-OP Rewards/Point-Of-Sale Support Gain co-op rewards that you can use for in-store advertising or promotional giveaways via the online Kenda Store. Marketing Portal Receive access to Kenda branding tools such as product images, logos and our digital catalog. Dealer Locator Customers using the dealer locator on KendaTire.com will be guided to your store. Global Brand with Local Support New products are being designed for North America in our state-of-the- art technical center located in Akron, OH. We also have a full team of experienced support staff to help you with any product questions at Kenda USA headquarters in Columbus, OH. In-Demand Products Our passenger and light truck tires are designed to give your customers solid performance at a great price. Associate Dealers also have access to branded specialty products with many O.E. 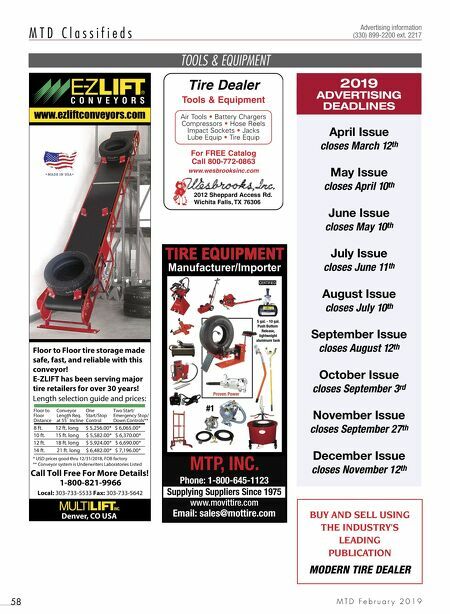 fi tments such as trailer tires, ATV, golf, and lawn and garden tires. Enroll today at KendaTraction.com Earn More in 2019! Traction dealers earn Double Rewards on select purchases each quarter.